Temperature-sensitive products—everything from meat and fish to certain chemicals and pharmaceuticals—require controlled environments from the moment they’re manufactured until the moment they’re used or sold. Any exposure to temperatures outside the specified range is unacceptable, as even a difference of two to four degrees could render these products useless or dangerous to consumers. That’s why cold chain management plays a critical role in these products’ manufacturing and distribution processes. Cold chain management refers to both the operational aspect of maintaining a temperature-controlled environment throughout the supply chain as well as ensuring compliance with temperature requirements. Below we’ll examine two of the most common use cases for cold chain management, the challenges of maintaining a cold chain, and the technologies available for logging and monitoring temperatures. Much of cold chain management revolves around healthcare—specifically medications and lab samples. Most vaccines, for example, are produced and tested under the assumption they will always be stored at a temperature range of two to eight degrees celsius. Temperatures that are too cold or too warm can cause many vaccines to lose their potency, making them ineffective. A recent study reported that, on average, 38% of vaccine shipments in first-world countries and 19% of those in third-world countries had experienced temperatures that were too low. In those cases, re-vaccination is usually required. The faster you can recognize problems through proper cold chain management, the more time and money you’ll save in both production (not having to reproduce the vaccine) and shipping (not having to reship the new product). 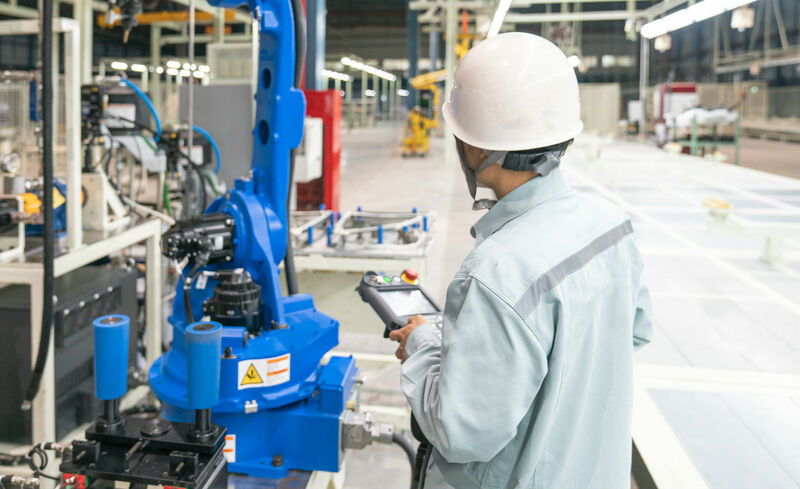 Want to save more time and money by monitoring assets inside your manufacturing plant? Download this white paper to find out how to select the right technology system for the job. Produce presents an even more complex challenge when it comes to maintaining a temperature-controlled environment, and not only as it pertains to staying cool. Plants are still alive during shipment, which impacts air composition. So not only does the temperature need to be constantly monitored and adjusted, but also the air quality, which needs to be carefully controlled to ensure the correct carbon dioxide and oxygen levels. If plants, fruit, and produce aren’t properly ventilated, the flavors could be negatively impacted; some simply won’t survive the trip and begin to rot. The FDA Food Safety Modernization Act (FSMA), introduced in 2011, was created to address food safety issues like these. Rather than focusing on ways to respond to food safety issues, it shifts the focus to preventing them—much of which involves cold chain management. Shippers are now required to maintain temperature controls during transport and keep records of that monitoring. Other requirements include pre-cooling refrigerated trucks before sensitive goods are loaded into them, setting a plan for maintaining and providing temperature records, cleaning vehicles properly to prevent mold from growing, providing food safety training for personnel, and more. 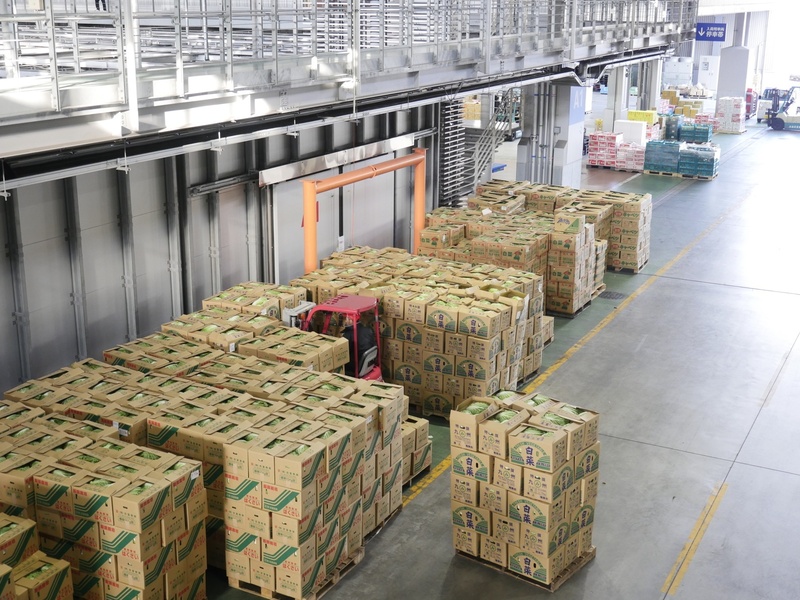 Cold chain management has a long list of challenges. Chief among them are choosing the right equipment for the job and complying with regulations. Equipment: The foundation of the cold chain is the equipment used to preserve temperature-sensitive products. How will you actually keep them cold? Every product has unique requirements, so you’ll have to identify the most appropriate equipment choices for your needs. In addition to the basics—refrigerators/freezers, cold boxes, ice packs, and thermometers—consider what you’ll use to monitor the environment. Your cold chain monitoring piece could be an add-on (e.g. “I’ll put everything into my box and then add in temperature-tracking technology”) or it could be built into the container itself. Keep in mind, too, the need to budget for your equipment, and be sure to evaluate new equipment costs and operating costs over time. Who will provision the ID of the temperature logger for a particular shipment? Where will the records of temperature logging IDs be kept? When the pallet gets to where it’s going, who’s responsible for data-gathering and recording the information as required by the FDA? How will your logging device be returned to you, and by whom? Buying a logger is easy—it’s the operations that are harder. If you’re shipping vaccines to a pharmacy, you don’t have any control over their staff, and you have no way to ensure their compliance with your requirements. Figuring out the technology for cold chain management is far easier than managing the people and ensuring that they’re compliant with the processes you have in place. Cold chain temperature loggers are essentially small circuit boards inserted into your shipping containers. They have an EEPROM memory (meaning they can be erased and reprogrammed) that writes the temperature every minute during transport. When the shipment gets to where it’s going, personnel can review the device to find out if the environment remained stable throughout. Some loggers have audible alarms that sound if the container goes outside the acceptable temperature range. The problem with most loggers is that, while they provide proof of temperature after the fact, there’s no way to know about changes in real-time, giving you zero recourse to correct the problem. To help address this problem, as cellular and satellite connectivity have become cheaper and easier to use, some loggers also now have limited reporting and alarm capabilities. Once an alarm goes off it could already be too late, but it does provide some opportunity for recourse if you learn about the change of temperature prior to or during shipment. For example, you no longer have to pay to ship bad vaccines across the country, saving you that expense. Another option is AirFinder. You can easily monitor container temperatures by placing AirFinder small equipment tracking devices in every container, some of which would also contain a cellular modem. All the devices use Bluetooth to stream the temperature data to those few modems, which then transmit the data to you in real-time via an LTE cellular data network. So the system allows you to monitor temperature, connect out to certain alarms, and receive immediate data using minimal, cost-effective technology. It also gives you an easy way to gather the required data for the FDA, without the need for human resources to handle it. Not only can AirFinder do temperature monitoring for proper cold chain management, but it can also monitor other environmental conditions to detect potential problems, like shocks and vibrations, and changes in humidity and air quality; and do location tracking. You can stay on top of everything about your shipment continuously—from the minute it leaves the facility to the minute it arrives at its destination. Interested in learning more about how you can use AirFinder for your cold-chain monitoring needs? Contact us. We’re glad to help.